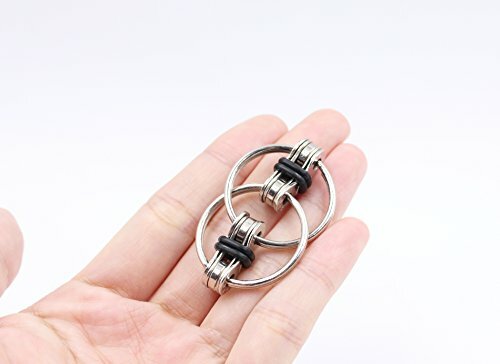 WeFidget’s Steel Flipping Bike Chain Fidget Toy. Relieve Your Stress, Anxiety, and Boredom all at your Finger Tips! Also Helps ADD, ADHD, and AutismThe Perfect Toy for those that Fidget the most. 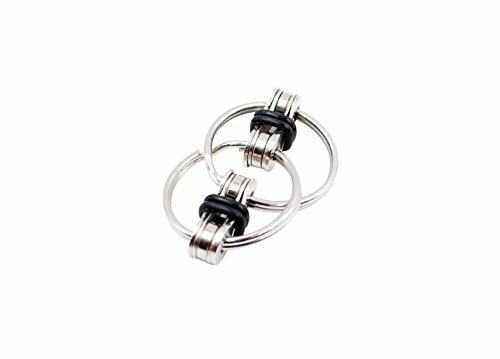 Silent Fidget Toy, so that you can fidget in class, at work, or even in a waiting room, without annoying other people. 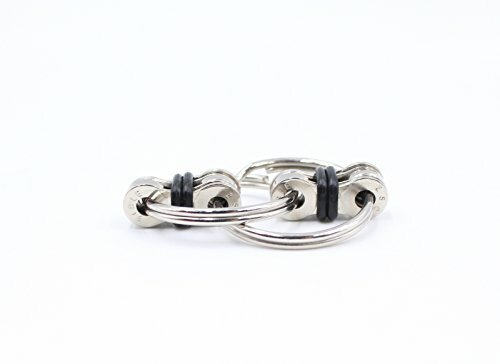 WeFidget’s Bike Chain Fidget Toy is created with a 28mm Steel Key Ring, 2 Steel Bike Chains, and 4 Silicone Rings. Which allows you to store this toy nearly anywhere! Just make sure you don’t lose it! Lower your Stress, Anxiety, and boredom, all at your finger tips! WeFidget’s 100% Customer Satisfaction Guarantee. If you don’t feel a little more relieved from your stress, anxiety, or boredom after playing with this toy. Let us know!